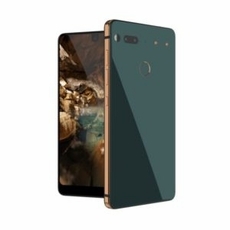 When it comes to protecting your Essential Phones against chafes, dirt, dust, and grime no one does it better than IQ Shield. IQ Shield screen protectors and full body skin protectors are accurately designed so that they can perfectly cover the vital areas of yourEssential Phones that require protection. The very durable protectors for the Essential Phones are tough yet they are also very flexible allowing them to be easily installed. IQ Shield protectors utilize a UV protective layer that prevents the protector from ever yellowing. Even though our protectors features a super advanced adhesive that will prevent the protector from ever coming off on its own; users can still easily remove the protector at will, without risk of leaving behind any residue or damage to the Essential Phones. Since every full body skin protector or screen protector is backed by our lifetime warranty program, you can request a new one under warranty by contacting customer service.